Whose Responsibility Is It To Establish New EF Communities? N 2007, the third year of his reign, then-Pope Benedict XVI published the landmark motu proprio, Summorum Pontificum. Since that time, the proliferation of Extraordinary Form Masses has been remarkable, as JMO recently argued. This is a very good thing. In the discussion following upon that recent post, a few readers suggested that it is incumbent upon priests to lead their people towards the Extraordinary Form. This initiative, in their view, should come from priests as “shepherds” (pastores). This excerpt makes clear that, in forming EF communities, the initiative comes first from the faithful. The parish priest, subsequently, is obliged to “accede” willingly to their requests. This is not to say, of course, that it would be wrong for a priest to share with his people the riches he has discovered in the Extraordinary Form. Nor would it be inappropriate for him to encourage his people to seek out opportunities to participate in EF Masses. Nor is there any reason a priest could not begin offering EF Masses at his parish before he has received a request for it from the people. It is not fair, however, to claim that priests must actively establish new EF communities or that this is in some fashion part of their pastoral responsibility. The use of the old Missal presupposes a certain degree of liturgical formation and some knowledge of the Latin language; neither of these is found very often. Already from these concrete presuppositions, it is clearly seen that the new Missal will certainly remain the Ordinary Form of the Roman Rite, not only on account of the juridical norms, but also because of the actual situation of the communities of the faithful. 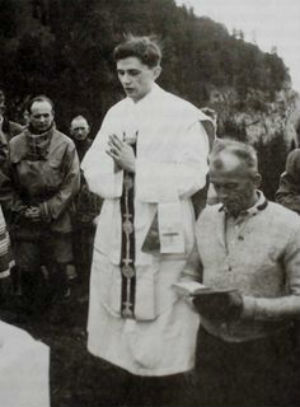 We must respect the vision of Pope Emeritus Benedict XVI, who so brilliantly crafted the language of Ordinary Form and Extraordinary Form and who so generously made provision for all priests and all the faithful to celebrate the liturgy according to the ancient usage.